Here are some Flash video screencasts to give you an idea of what it's like to work with LyX. 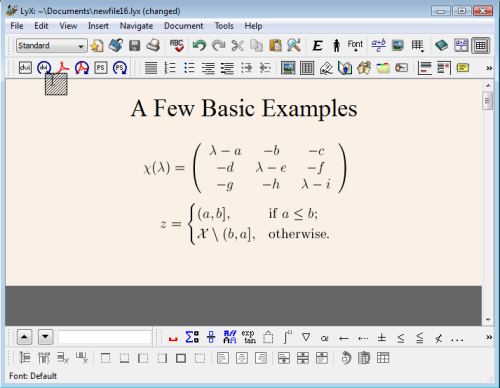 Stefan Schimanski implemented the well-known TAB completion in the math editor and in text mode. 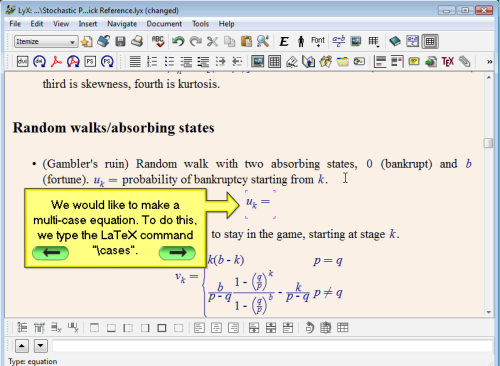 In an equation just enter \ and see available math commands including symbols and your own math macros, which are valid at that point. 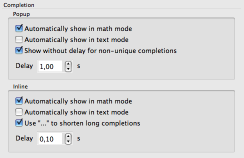 To match everybody's taste you can configure the grey inline completion and the completion popup for math and text via an extensive preferences pane. You can see a small screencast of completion in action here at YouTube. 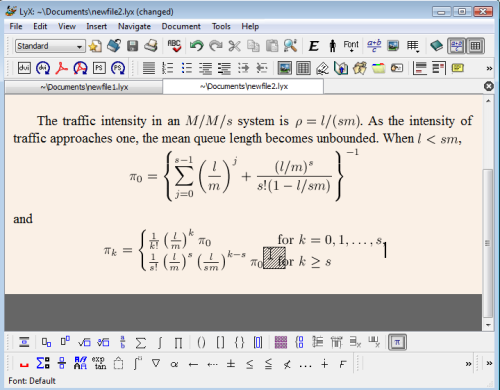 You can define Math Macros with up to 9 parameters. Optional parameters with default values are supported, even more than one optional parameter. Macros are position aware, i.e. 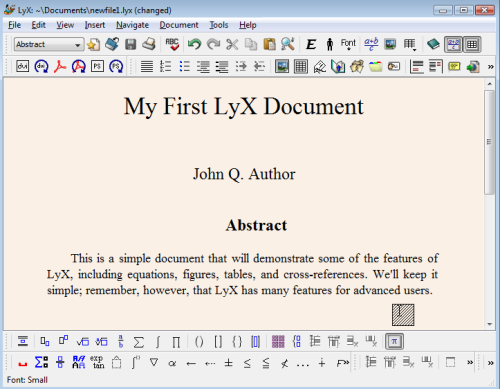 LyX will know where they were defined in the document and which macro version is to be displayed at any point. Redefine macros as you like throughout the buffer. Remove and add parameters as you like. 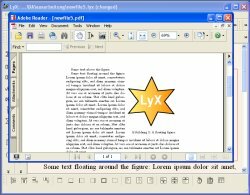 LyX will adapt all instances of the macro in the text. LyX knows about macros in child and master documents. Create your macro collection in a macro file and use this in all your documents. You can edit macros inline using holes to be filled with the parameters. 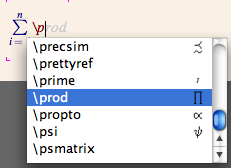 Or use your beloved, old-style parameter list edit mode. Render just a child document and LyX will make sure all macros are defined correctly, even though their real definition is e.g. in the master document. For further details you can look here. If you like youtube look here. 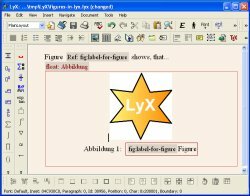 This screencast (Adobe Flash) shows how to insert figures in LyX. Please find it here. This screencast (Adobe Flash) shows how to insert figures that are floated by text. Please find it here.